And they are pretty affordable. It's pretty obvious that we are huge fans of cars with manual transmissions. We love rowing our own gears, especially when it's with a unique shifter like the gated units found in old Lamborghinis and Ferraris. Unfortunately, neither Ferrari nor Lamborghini offer manuals any longer, and none of the used examples are particularly affordable. That said, we especially love affordable cars no one even knew came in a manual option, and one in particular recently popped back into our minds. It is very affordable and has one of the coolest shifters ever made. The car (or cars) that we're referring to are the Volvo S60 and V70 R. The S60 and V70 were essentially the same car, although the V70 wagon was obviously longer. The V70 and S60 were both offered in a performance R trim starting in 2003. Both used a 2.5-liter turbocharged five-cylinder engine which produced 300 hp and 295 lb-ft of torque and could hit 60 mph in less than 6 seconds, thanks partly to a Haldex AWD system. The cars had an optional five-speed automatic slushbox, which was later upped to a six-speed unit in 2005. Anyone who really cared about driving, however, opted for the six-speed manual, which has one of the coolest designs we have ever seen in a mainstream production car. How so? Normally, a manual gear level is covered in leather, which hides the mechanical portion of the gear linkage. We have seen how beautiful a company like Spyker can make an exposed shifter look, but these cars are very expensive. Yet Volvo was able to make a completely unique gear lever design on a car that didn't cost six-figures. In fact, it is now possibly to find an S60 or V70 R for less than $10,000. The manual transmission in both is unique because of the aluminum plate that covers it. It's rare to find a car that has such a cool shifter design that doesn't cost over six-figures. But the shifter isn't the only amazing thing about these old Volvos. The R models came with four-piston Brembo brakes front and rear and 18-inch Pegasus-style wheels. Their interiors have special blue gauges and a Four-C (Continuously Controlled Chassis Concept) suspension system, which was highly advanced for its time. The system came with three modes - Comfort, Sport, and Advanced - that completely change the car's driving personality. 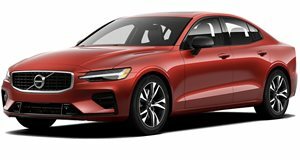 Pushing Comfort would turn it into a typical soft-riding Volvo, while the Advanced button would make it something like a BMW M3 competitor. These cars were truly unique, and we think both could be future collectibles. A Volvo V70R with a manual transmission is particularly rare, but a good one could be a fantastic daily driver that will hold its value very well.